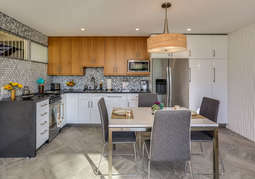 Good Vibes Condo has everything you'll need for a weekend getaway, a holiday or a longer vacation. 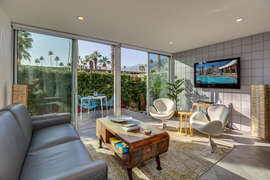 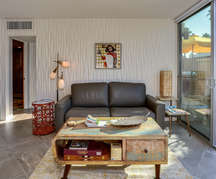 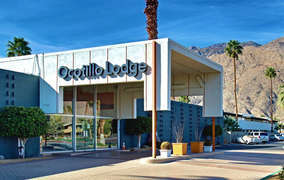 Located at one of the most desirable building complexes, The Ocotillo Lodge, a Mid-Century Modern landmark built in 1957. 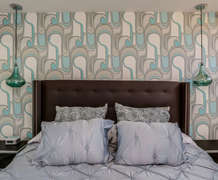 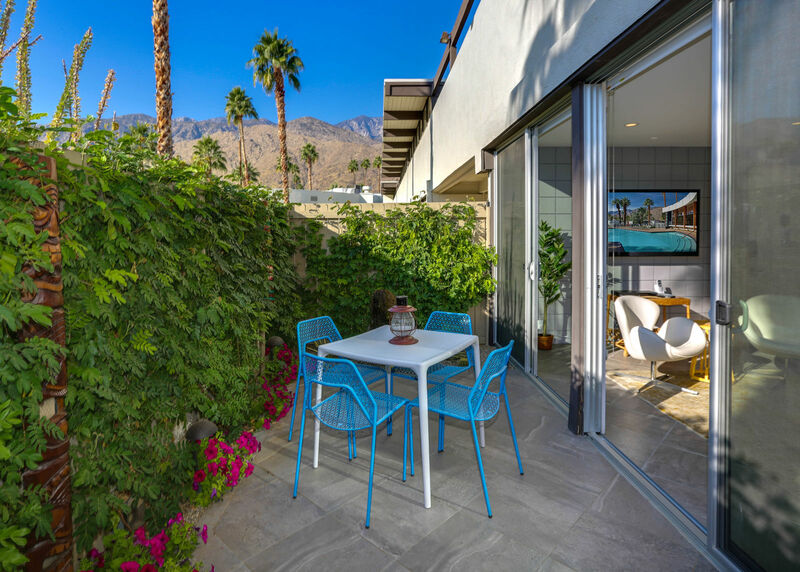 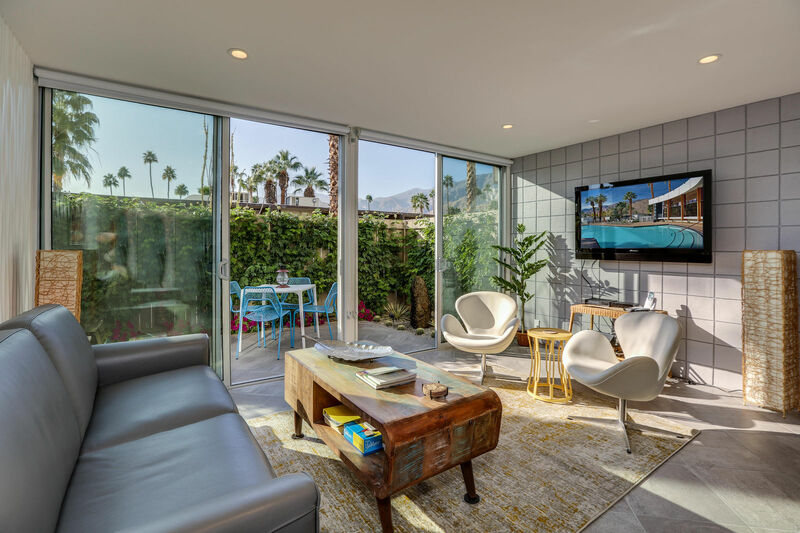 This remarkable complex has quite a pedigree: designed by Modernist architect William Krisel, built by the Alexanders, and the “Palm Springs Getaway” of celebrities from Lucille Ball to Clark Gable. 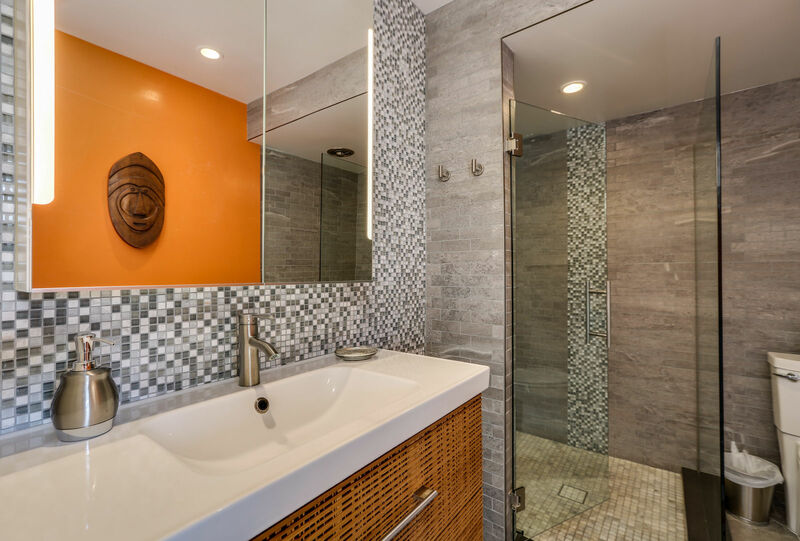 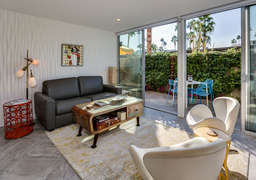 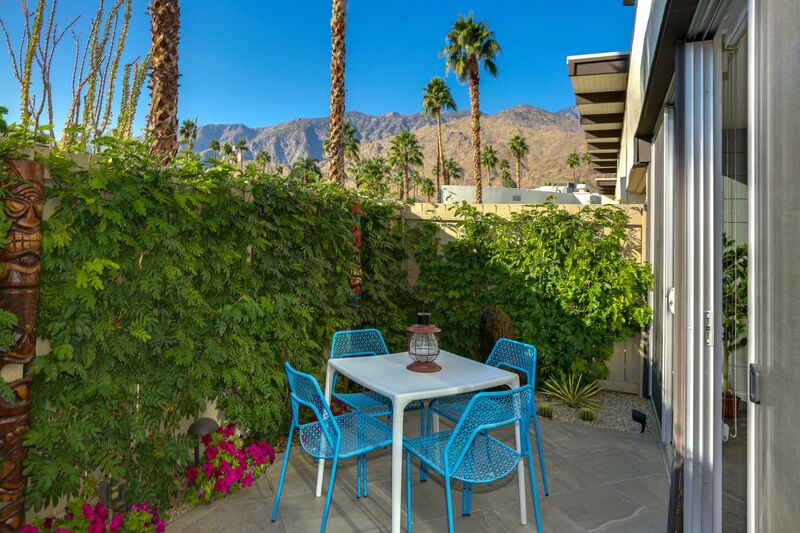 This condo is right in the heart of trendy South Palm Springs and minutes from coffee shops, restaurants and several shopping centers. 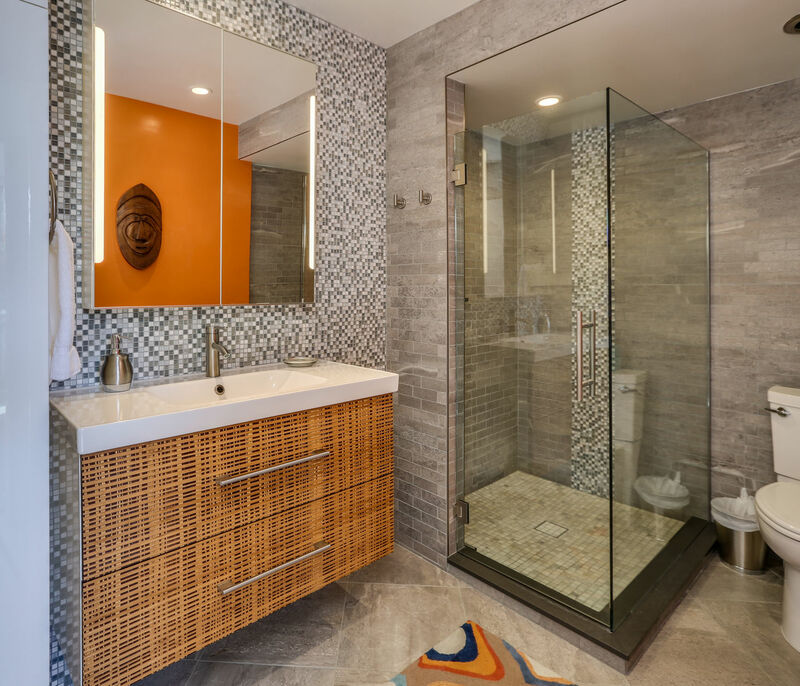 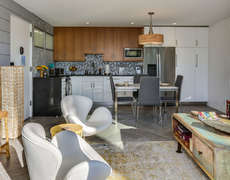 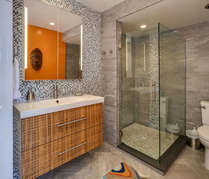 This spectacular condo, which was recently renovated, is furnished in the most sleek and stylish décor. 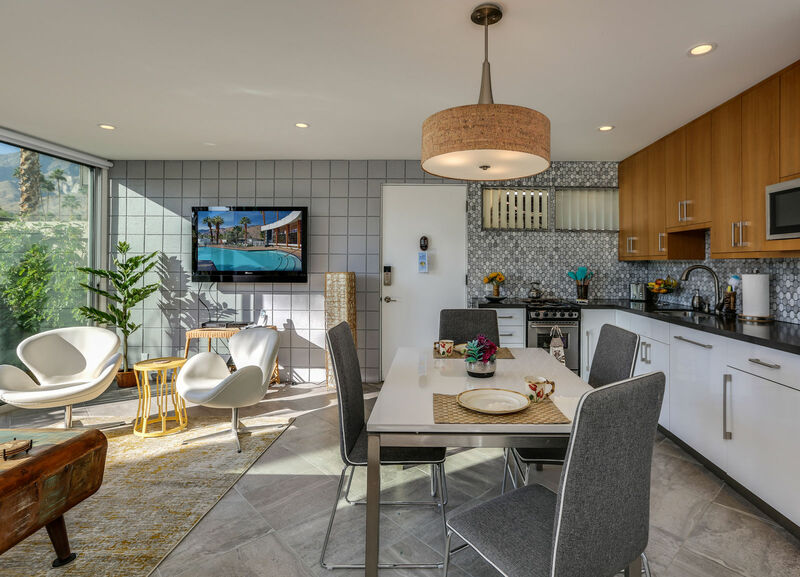 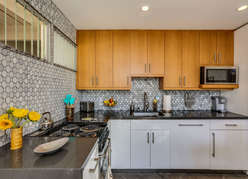 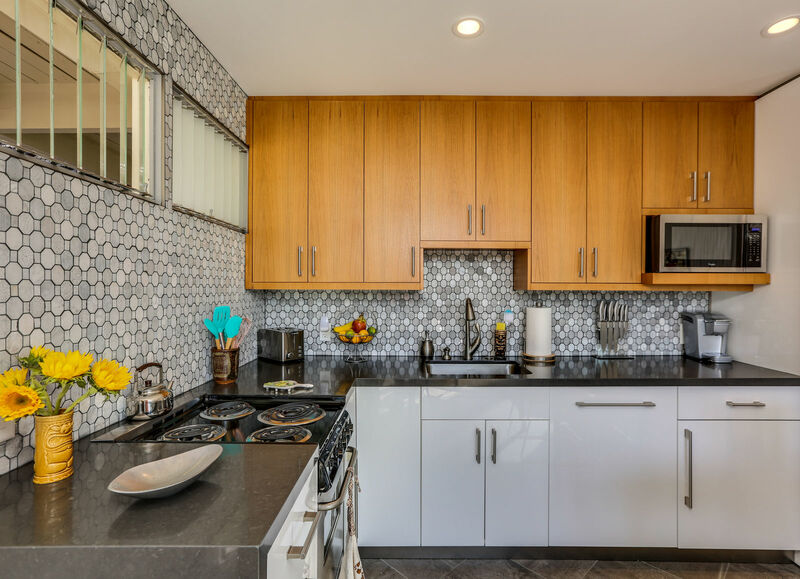 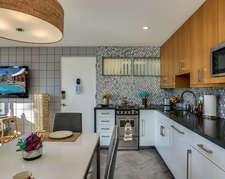 All new stainless-steel appliances fill the open kitchen with midcentury charm. The beautifully adorned master bedroom will cause you to relax from the sight of the lavish bedroom set. 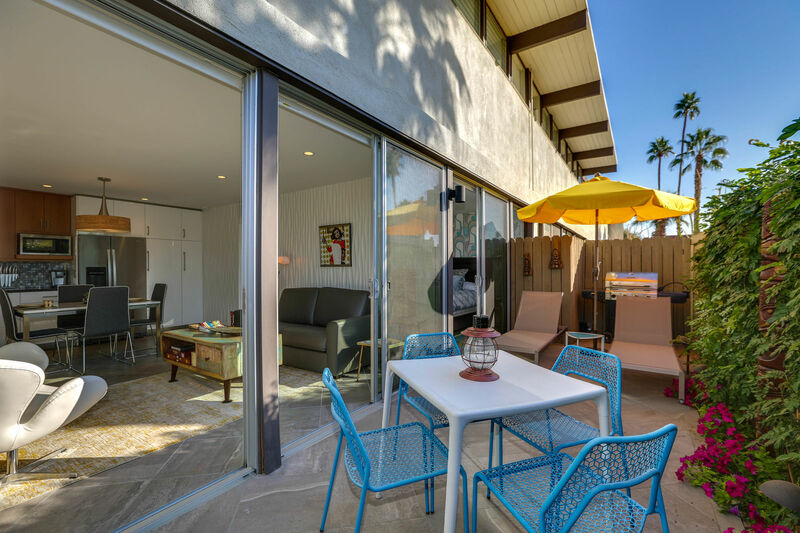 The private patio has everything you might need, seating area for four, two loungers and a private bar bq grill for your use. 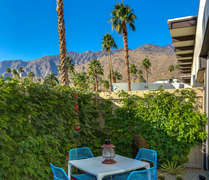 There are unsurpassed views of palm trees and mountains from the living room and the master bedroom. 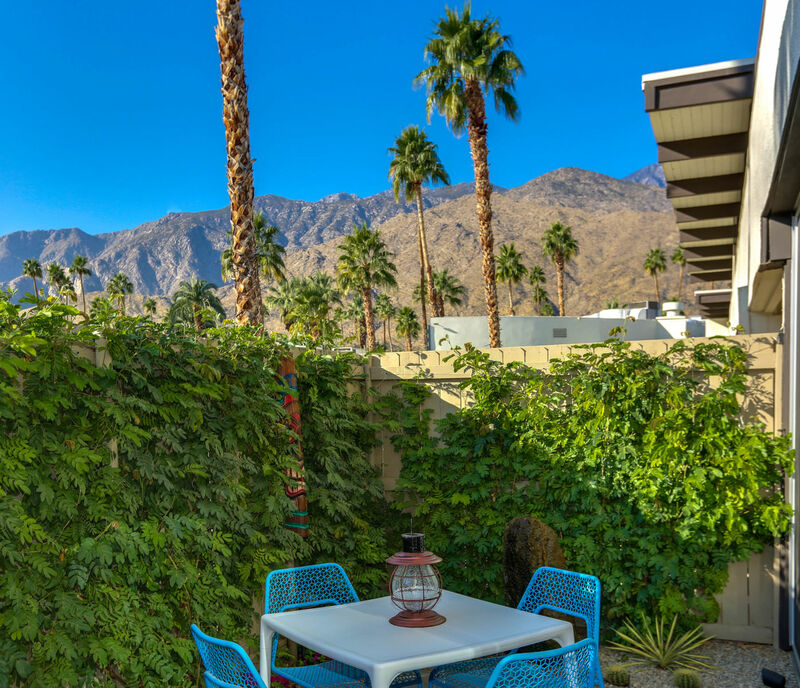 Enjoy a leisurely stroll around the entire property. 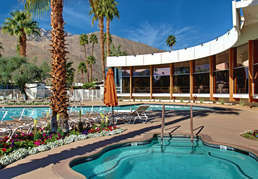 The spectacularly designed and recently renovated resort-style pool is one of the largest in Palm Springs. 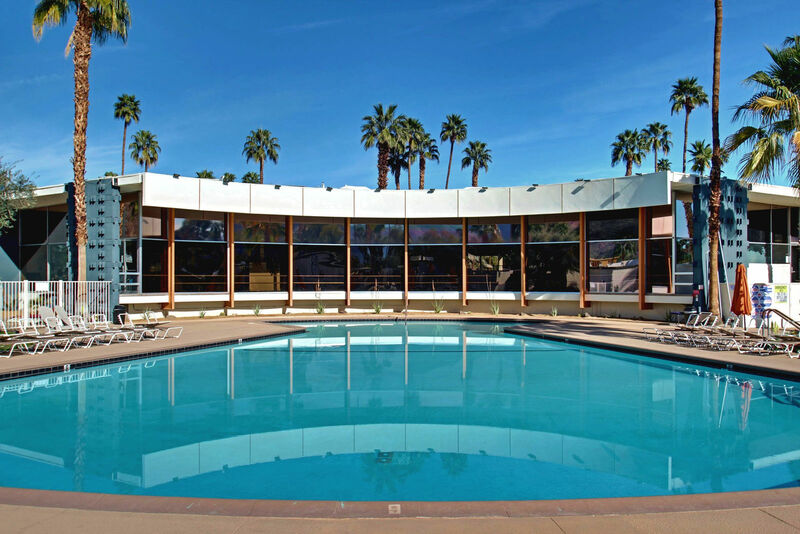 It’s also the centerpiece of mesmerizing mountain views, especially from the workout room and lounge. 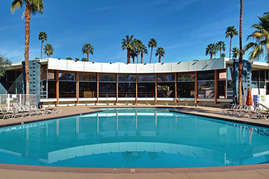 There are two spa pools and plenty of common areas to get to know your neighbors, including at the groovy Sunshine Bar. 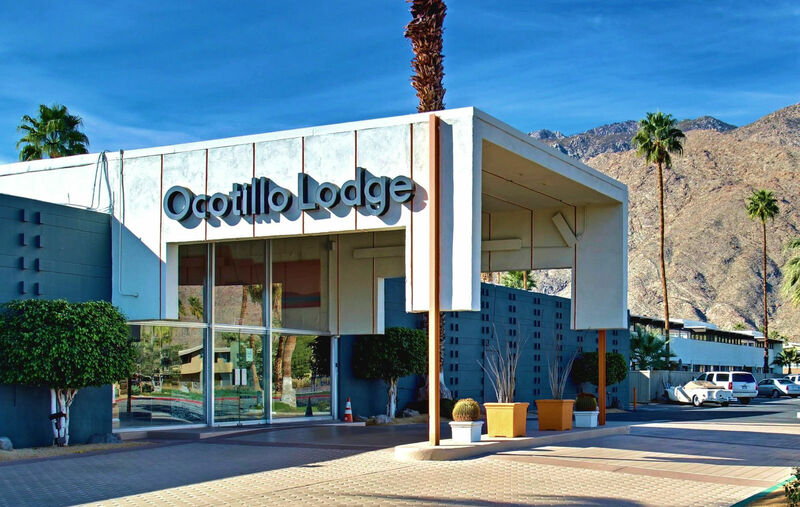 Ocotillo Lodge is conveniently located on East Palm Canyon Drive, steps away from the ever-popular Koffi coffee shop and the Ace Hotel. 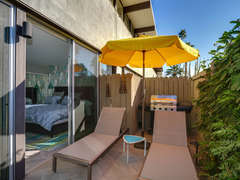 Positioned across the street from the iconic Elmer’s, a local favorite restaurant for breakfast, lunch or dinner. 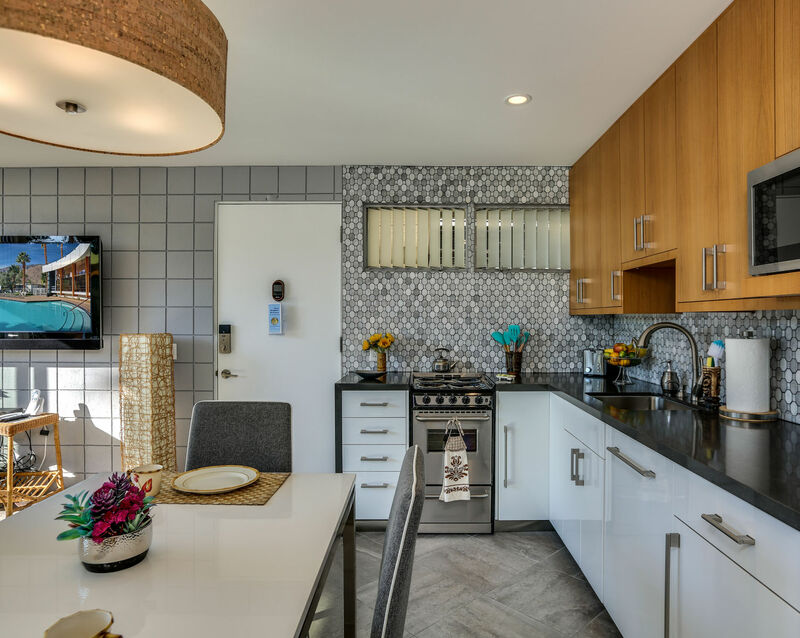 Walk to shopping, dining and the all-important supermarket at the Smoketree Shopping Center, about six minutes away on foot. 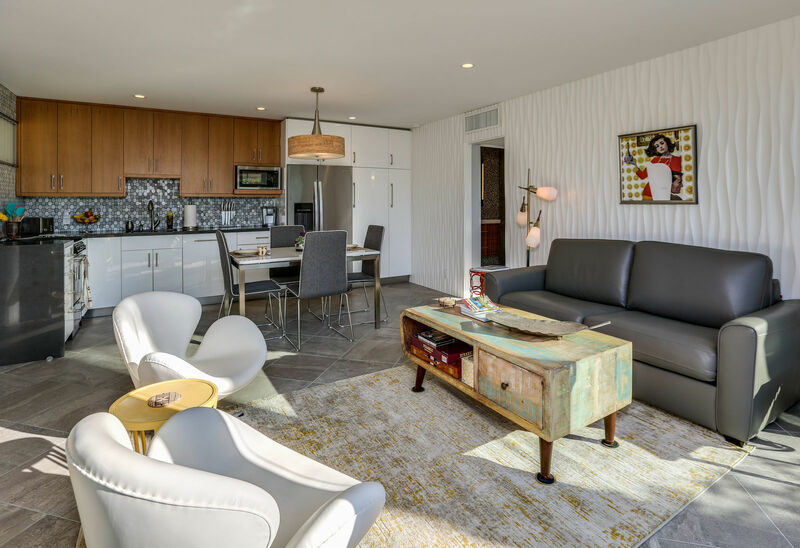 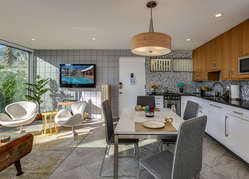 Just a few steps further is the swinging Saguaro Hotel and a brand new shopping complex “The Smoketree Commons,” with all new restaurants, Jensen’s Grocery store, World Market and Michael’s. 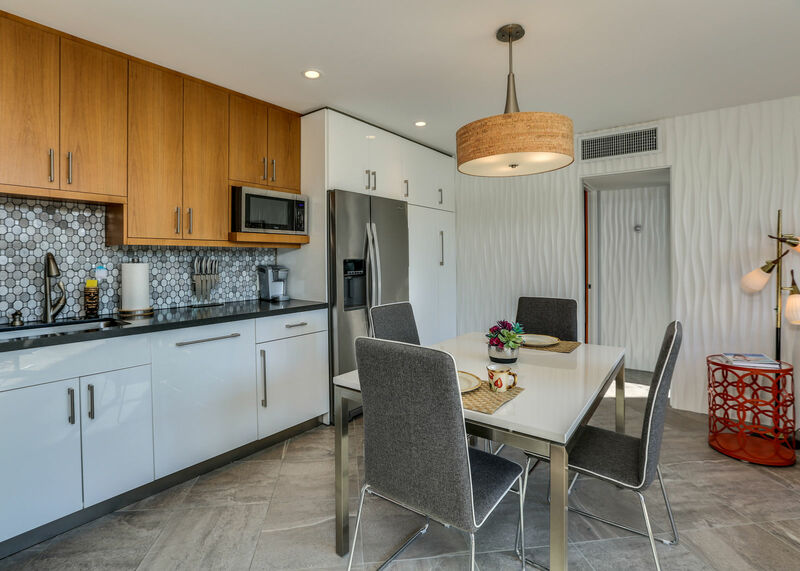 Make your reservation today; you do not want to miss out on this gorgeous condo. 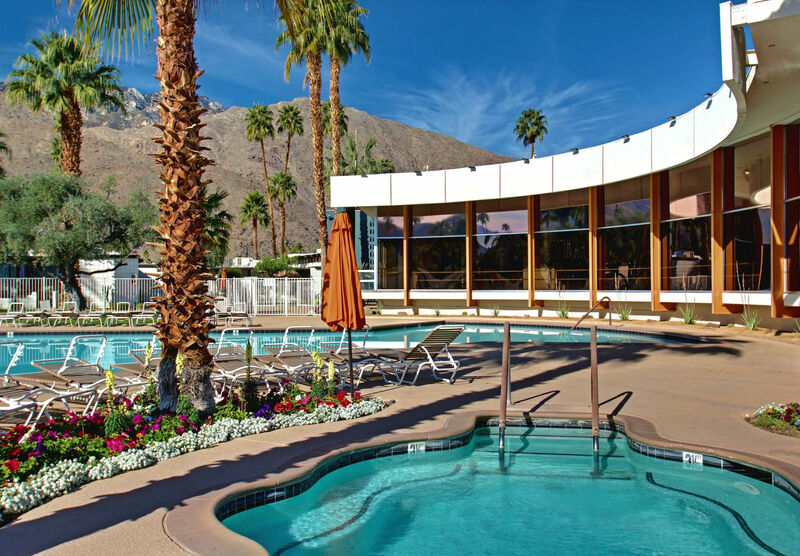 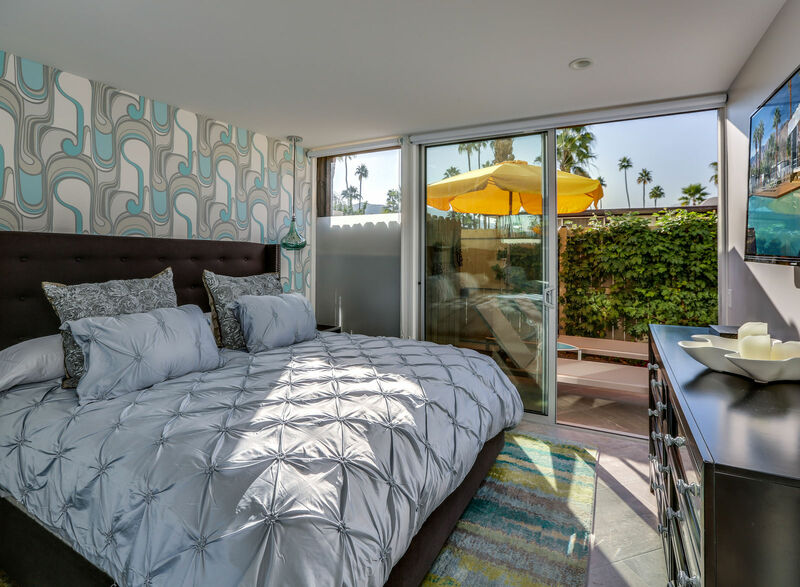 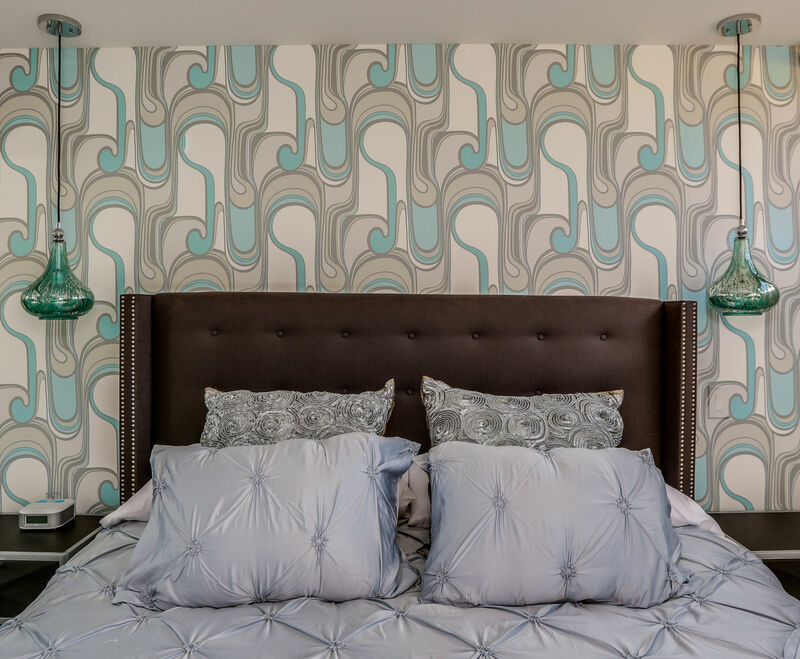 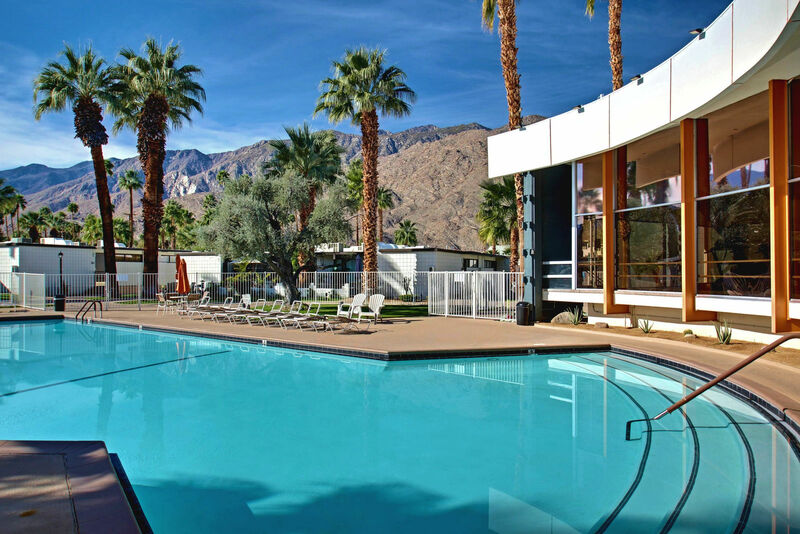 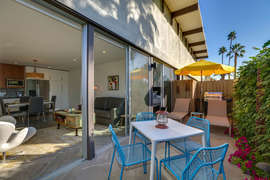 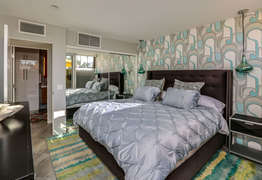 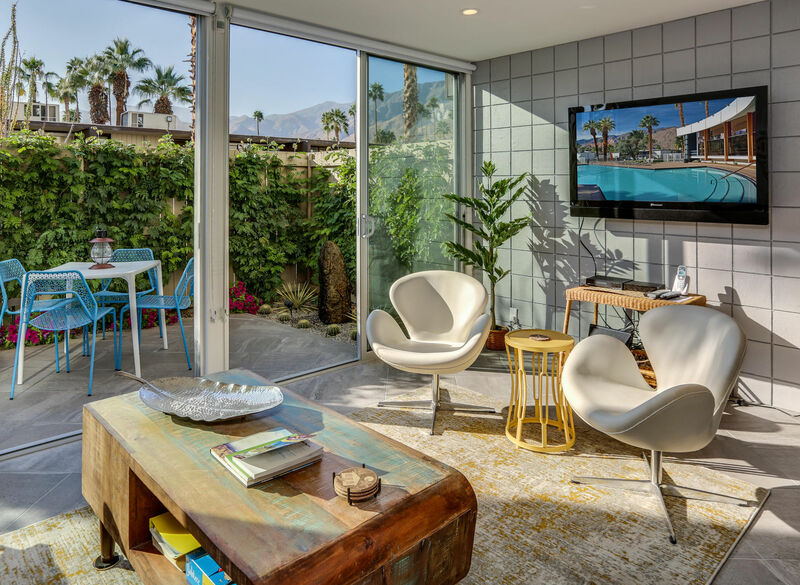 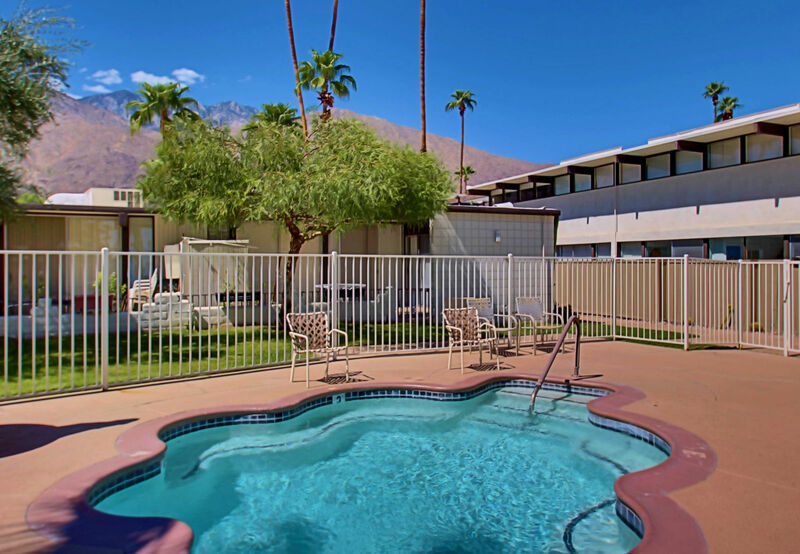 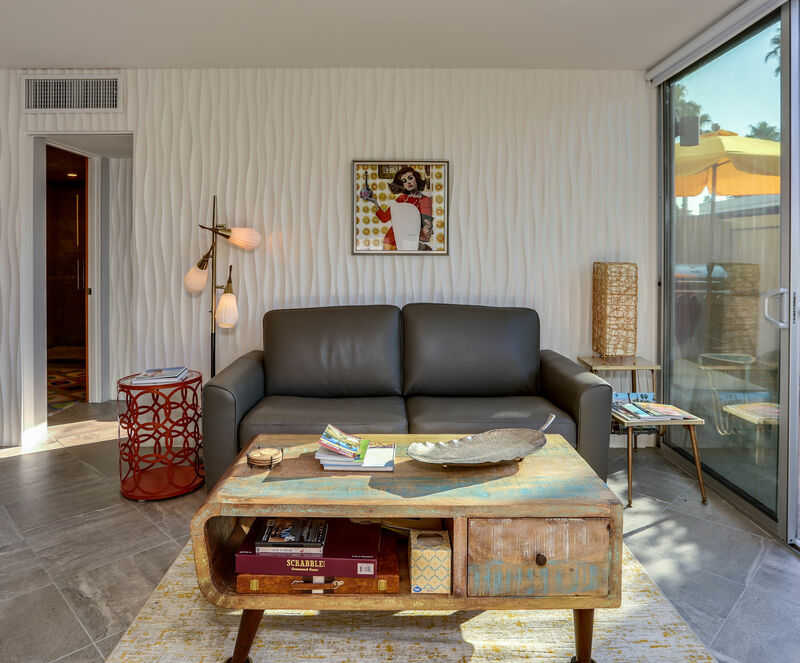 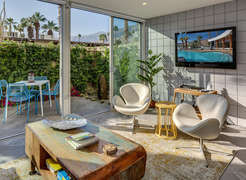 Good Vibes is the place for your next stay in Palm Springs!